Creativity in the classroom isn't always a priority. Teachers have so many lessons and tasks to stay on top of that it's no wonder these types of skills are often left out. To help your child develop their creativity, consider the following options. Creativity may not seem like an important skill to encourage in a child, but it can be a real eyeopener. Creativity spurs innovation and helps children develop different ways of thinking while helping them build their problem solving and critical thinking skills. This can make learning a lot more fun, which can encourage students to become lifelong learners and innovators. Most people think of painting or dancing when they hear the word creativity, but there is much more to it than that. Below are some examples of activists that can help students develop their creative skills: Reading: Reading helps students develop tons of skills beyond just language skills. In fact, reading for fun can help your child expand their way of thinking and can help them increase their vocabulary. Reading also opens up new worlds for children as they read about new characters, new lands, and new situations. Extracurricular activities: Allowing your child to choose an extracurricular activity will help them explore new hobbies while also encouraging them to meet new people. This is also a great way to limit screen time and to get them doing a lot more. Encourage them to choose an activity that will be fun and that will allow them to express themselves in a new way. 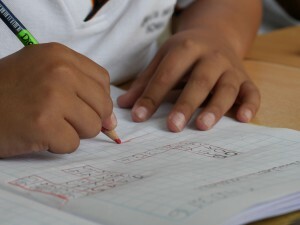 With the help of tutoring in Chester, your child can perform at their academic best this school year. For the best results, check out the academic programs offered at The Tutoring Center, Chester NJ. To get all of your questions answered, don't hesitate to give them a call at (908) 888-2199.